What happens when your Smart Home wants to stay dumb? Ignorance is bliss, but when the out of date wiring in our almost 100 year old home is not compatible with my Smart Devices what’s a tech savvy guy to do? Sure we could call an electrician and rewire our entire home, but I’m not going to get mad (or pay for that), I’m going to use other Smart Devices for workarounds! 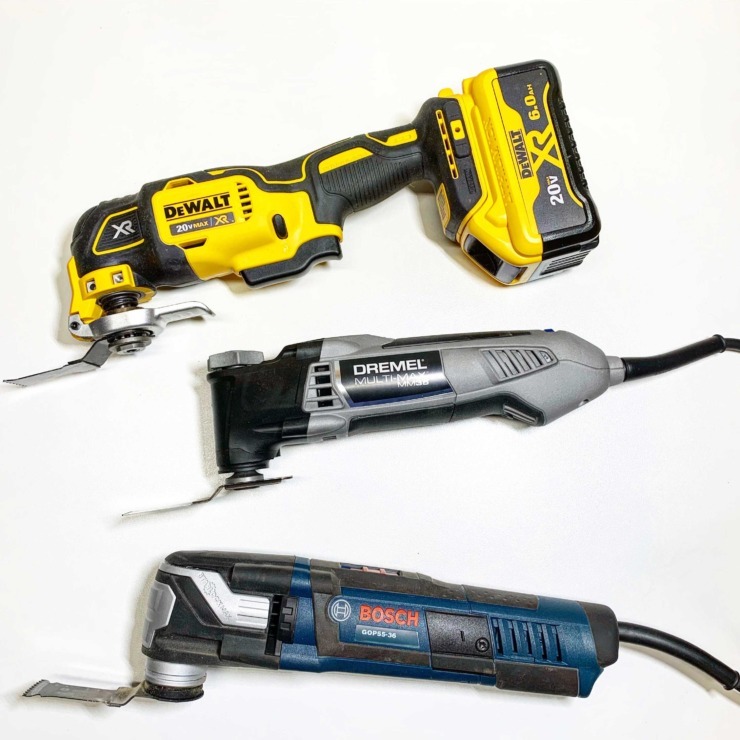 Hopefully you’ve been following along with this Smart Home series sponsored by The Home Depot, if not, go back and check out these posts! Links below will be affiliate links. 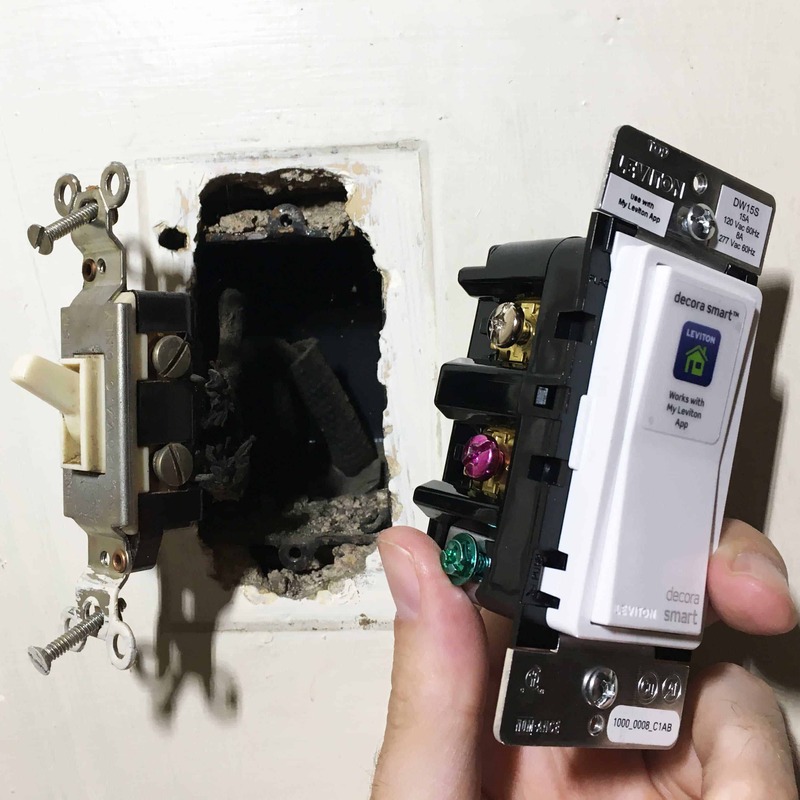 If you want one of the most instantly gratifying Smart Home or Smart Device upgrades, then installing Smart Switches to turn your lights on and off without lifting a finger is the place to start. I don’t know about you, but I feel like a wizard every time I whisper the incantation of “kitchen lights on” and then spotlights over the sink magically illuminate our cat Pancake who is now completely busted for being up on the counter. Thomas Edison (the inventor of the Cat Video… true story look it up) would be proud of how I harnessed the power of the light bulb AND incorporated felines into this mystical equation. I got a bevy of Leviton Decora Smart Switches to install around the house. They are one of the best options because they are compatible with pretty much every major voice activated smart device. 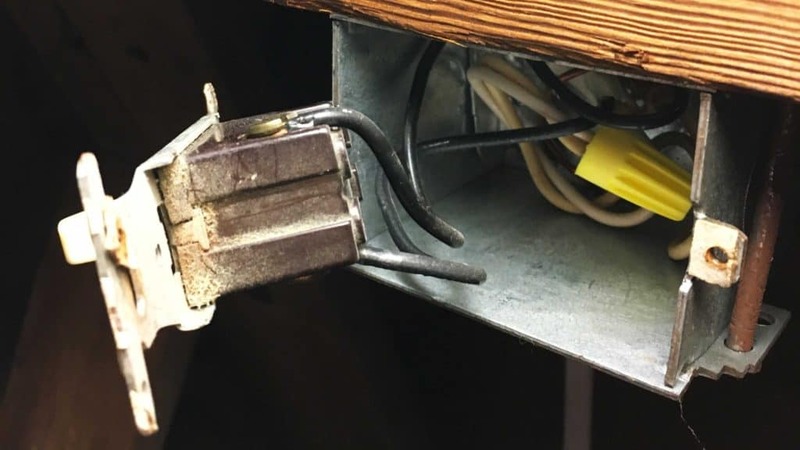 The problem is that they are not compatible with the decades old wiring shoe stringed around my house. In fact, no Smart Home Switch is (it’s a safety reason). It’s like “let’s see what’s behind door #2 Monty?” every time I crack open an outlet or switch panel. In some cases the wiring has been upgraded. Other times we’ve had aluminum wiring (ugh). Even worse we’ve found knob and tube (double ugh) wiring! Now what? We both know I’m not going to get up off the couch to turn off that light, so what’s the Smart Device alternative? Bathroom – Our toddler isn’t tall enough to reach the light switches yet. Daughter’s Room – Same as above plus sometimes monsters need to be chased away in the middle of the night. Kitchen Sink – Track lighting… ugh. Basement – Those same monsters live in the basement and it’s hard to fight them off when carrying a load of laundry down the steps. Porch Lights – Monsters, bugs and door to door salesmen need to be chased off. Sure, these are mostly convenience upgrades, but isn’t that exactly what Home Automation does? With the switches no longer an option it was time for Plan B. The benefit of a Smart Switch is that you can use any standard light bulb in a fixture and with a simple command you can turn that light on. Easy right? Well it would have been… Instead, I’m going to be using a combination of Smart Bulbs and Smart Plugs for the same outcome but then crank this Home Automation up to 11. You might remember I featured Philips Hue Smart Bulbs in a post a while back, but honestly I just scratched the surface for their additional uses last time. They come in various shapes and wattage so I’ll be using a few different styles, plus for comparison, WiZ WiFi Smart Bulbs. 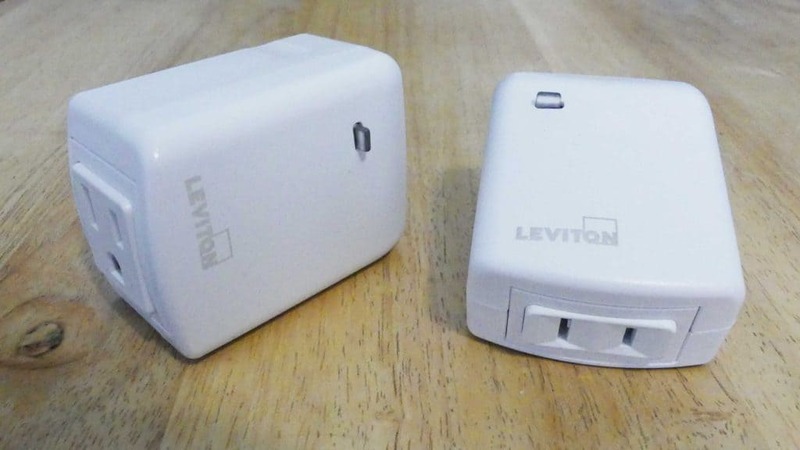 I’ll also be using two different Smart Plugs from Leviton that work with Three Pronged and Two Pronged outlets to round out the work around. Before you say it, there is an added cost here. For a 5 pack of Leviton Dimmer Smart Switches I’m looking at a one time install cost of around $250. But, you will also incur the cost of changing your standard light bulbs every time they burn out. A standard light bulb has around 1,000 hours of use, a long-life bulb around 1900 hours of use. A Smart Bulb has 25,000 hours of use. The cost is more because it lasts longer and they do some pretty amazing stuff. We’ve got a four year old that’s a princess, complete with princess bed. Naturally… she has a chandelier in her bedroom (it came with the house). Problem number one is that is uses a bunch of those little bulbs that constantly burn out and always feel like a fire hazard. Problem number two is that we have a toddler… which means monsters are in her room at night and we need some cool night lights. 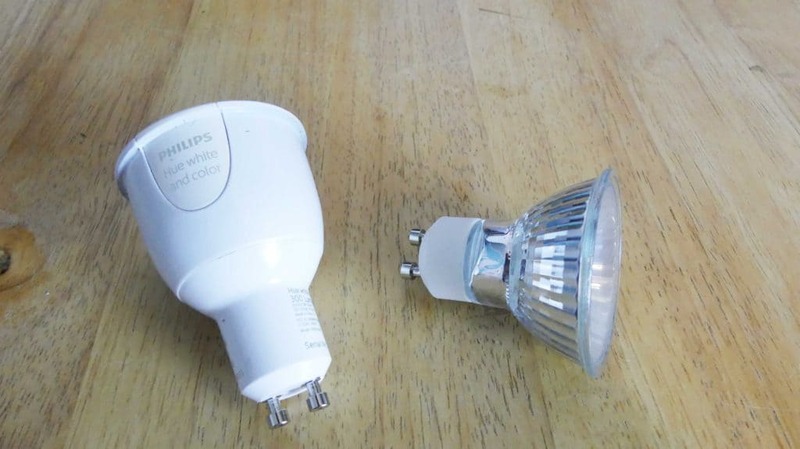 Now I’ve swapped out the standard bulbs for Philips Hue E12 Smart Bulbs and the fun begins. As a reward for going to bed with no issues and sleeping through the night, I let our daughter use the color wheel and pick her night light color before bed. There are 16 million color options (seriously). 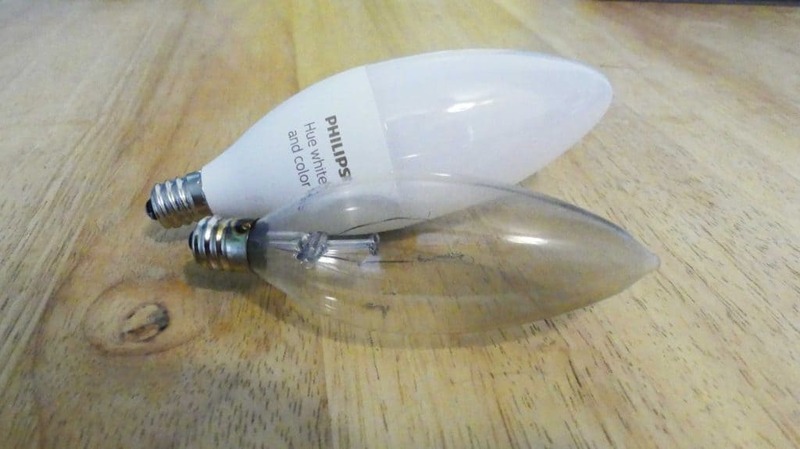 Plus each bulb can have it’s own color. Naturally… they are all a shade of pink every night. But let’s not stop there. Of course time outs happen. So when our daughter is in her room not learning her lesson, I can go into the Hue App and set a timer. Once the time is up the lights in her room will blink or change color (or both!) to let her know she’s served her time. That “Routine” is also savable so you can voice automate your time outs with your Home Smart Device. Speaking of routines… I can set a daily routine with the bulbs where the lights in her room will all turn green when it’s okay for her to get up in the morning and leave her room. Parents with toddlers… you’re welcome. Over our kitchen sink we have track lighting that uses three GU10 Halogen bulbs (that are hot and expensive) and over our bathroom sink we having globe bulbs for our vanity lights. Not your typical 60 watt bulb. Not to mention the switches for both of these areas are impossible for a toddler to reach. Having a potty trained kid is great, but having to get up with them to go turn on the light sort of negates that independence doesn’t it? So in the bathroom I installed the WiZ A19 Smart Bulbs and in the kitchen Philips Hue Color Ambiance GU10 LED bulbs. Now all my daughter has to do is tell our Smart Assistant to turn on the kitchen or bathroom lights and we’re in business. If she can request Taylor Swift’s “Shake it off” 5,000 times a week she can just as easily turn on the lights. Why stop there? The lights over the sink are usually the ones we leave on all the time if we’re out of town (spoiler). When they’re on they are visible from all sides of the house, but then… they’re on ALL the time. So I went into the Hue App and set up a routine. Every morning at 6am (when I get up) the sink lights come on to a soft white glow. The app is synced with my location so I then have the lights turn off about 30 minutes after sunrise. In the evening, I have the lights come back on bright about 30 minutes before sunset and then at 10 PM switch to a dimmer night light until 1 AM and then turn off. Not only is helpful when I’m home, but it’s great for being away. 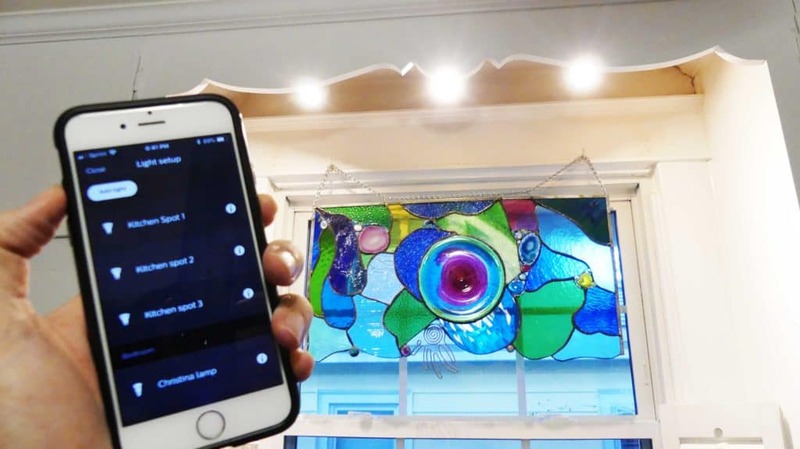 Just in case you’re extra paranoid about people watching your home, you can have the app turn on the lights at random times to throw would-be criminals off as well. Using standard sized Philips Hue Smart Bulbs, I was able to set up similar routines for the front and back porch lights so they would come on at sunset and off at sunrise… plus… purple and orange lights for Halloween or Green and Red for Christmas… yep! Not good enough? 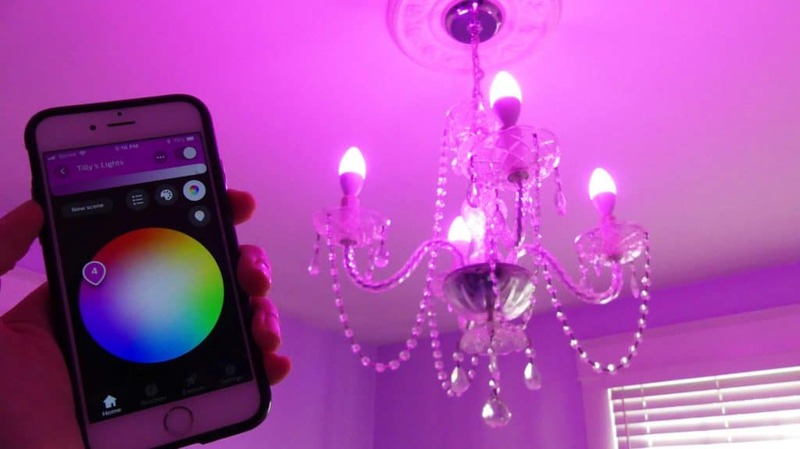 The same Hue App can automatically turn your specified lights on when you pull up to your house when your phone connects to your WiFi. Unfinished basements usually get upgraded as an after thought. You’re lucky you aren’t just walking into a space with a single exposed bulb with an inconvenient pull string. Our basement isn’t big, but it has seven (yes seven!) different sources of light with four different ways to turn those lights on. Three lights turn on with a switch that’s located part way down the stairs and the others have a pull string (power source comes from a socket) and an odd ceiling mounted light switch. So how do we fix this? 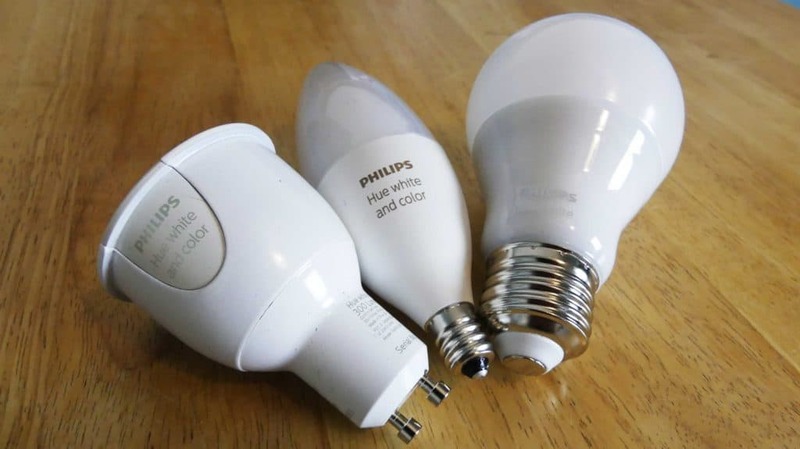 First I swapped all of the standard bulbs for Philips Hue White 60w Bulbs. 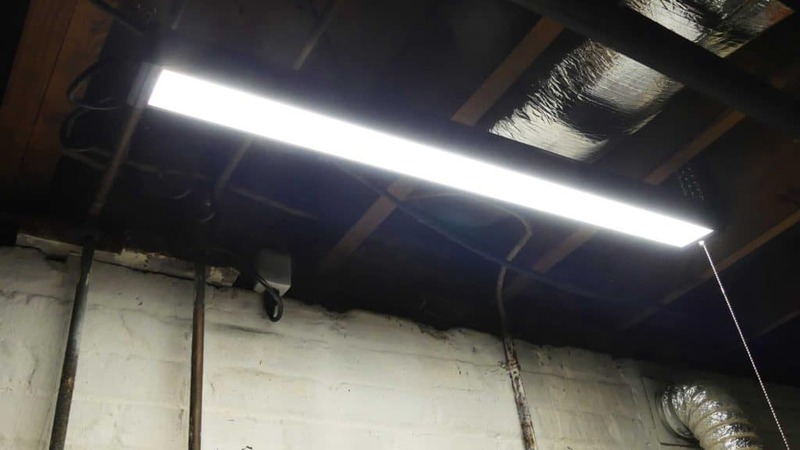 With that I can voice activate and say “basement lights on” and we’re in business and that will take care of five of the seven lights regardless of power source. The other two… are overhead ancient florescent lights that plug into a socket over our washer and dryer. Now what? This is where my Leviton Smart Plugs come into play. First I swapped out the old florescent light fixtures with a new LED Shop Light and used the same outlets, but added the smart plugs. Now I can use my Smart Assistant (like google home or Alexa) app regardless of the brand of Smart Bulb or Smart Plug and set up a “room”. I tell the app which bulbs and which plugs are in space (if you tap the name they blink) and name the group something like basement. Then I just tell my Smart Assistant “turn basement lights on” and you got it… they all turn on. Hands free. No flipped multiple switches. Sure, the path of the least resistance would have been to swap out the light switches if the wiring allowed it, but honestly, a Smart Bulb actually gives me more robust applications. 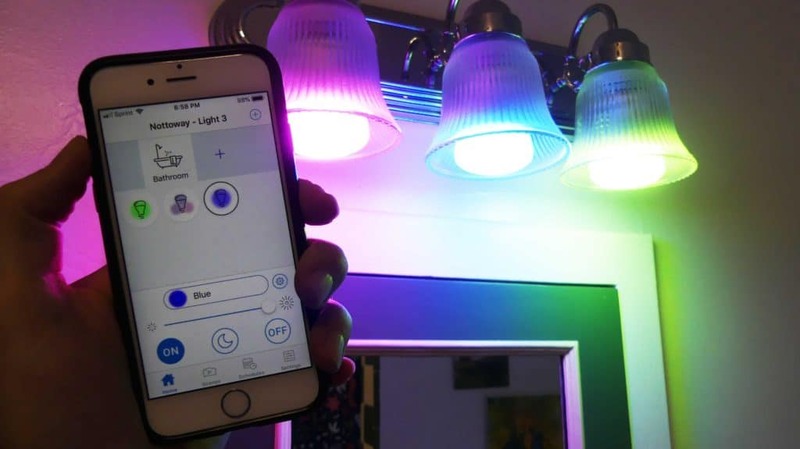 Set up with the WiZ and Hue bulbs are extremely easy once you set up the Hub (required for Hue) or phone app. It’s as simple as screwing in the light bulb after that. Pairing with your Smart Assistant is just as easy. Sure there’s an added cost here up front, but the run-time of a Smart Bulb compared to a standard bulb completely nullifies that debate. Can’t get enough Smart Home reviews? 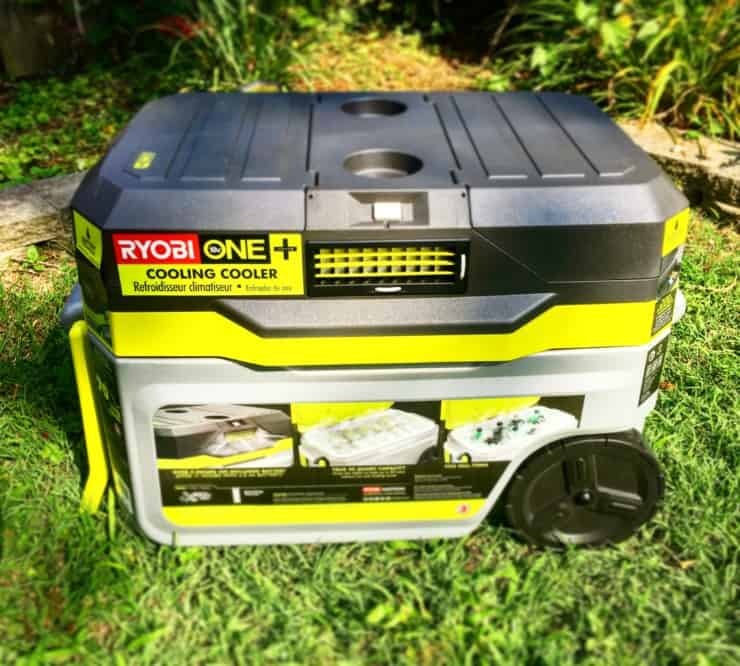 Check out the Smart Home Feed! *This post has been sponsored by the Home Depot as part of the Smart Home Campaign. I have been compensated for my time and provided with product in exchange for my opinion. My opinion is my own.